It is a show that keeps viewers guessing right up until the end of the closing credits. And Sherlock fans were sent into a frenzy today when producers quietly offered yet another clue about the upcoming fourth season. 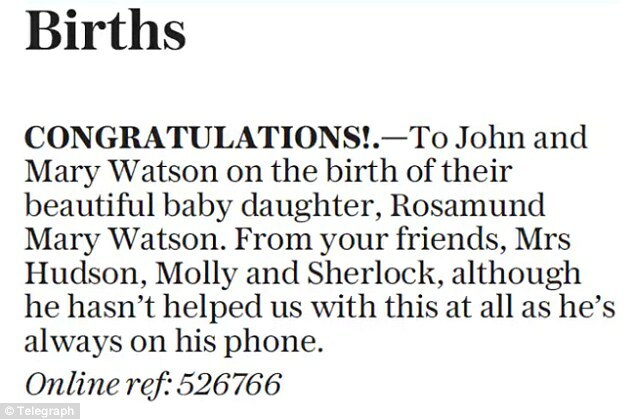 The name of John Watson's newborn child was revealed in an announcement in the Daily Telegraph's births, deaths and marriages register today. It read: 'Congratulations! 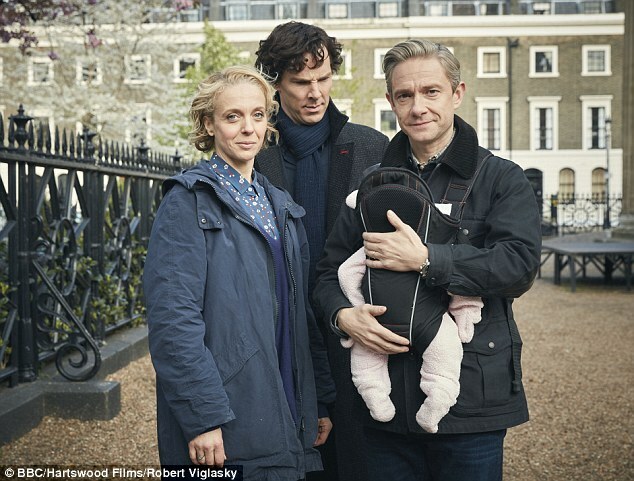 To John and Mary Watson on the birth of their beautiful baby daughter, Rosamund Mary Watson. The short notice sparked an online debate between fans, with some questioning the significance of the baby's name. 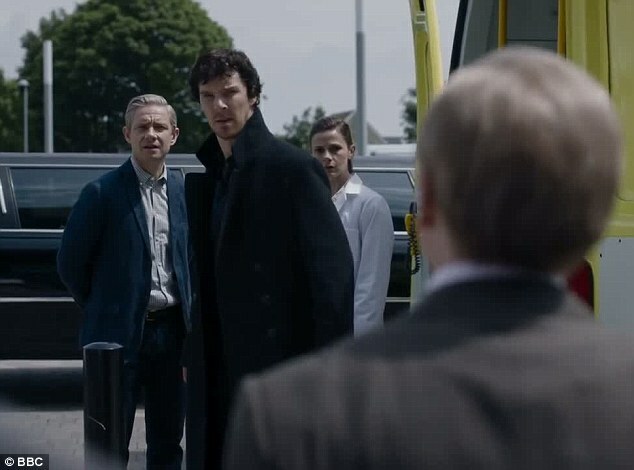 Others speculated over whether the line about Sherlock being 'always on his phone' was a hint at the upcoming storyline. It came as a new trailer premiered today shows the detective having to face up to his inner demons. 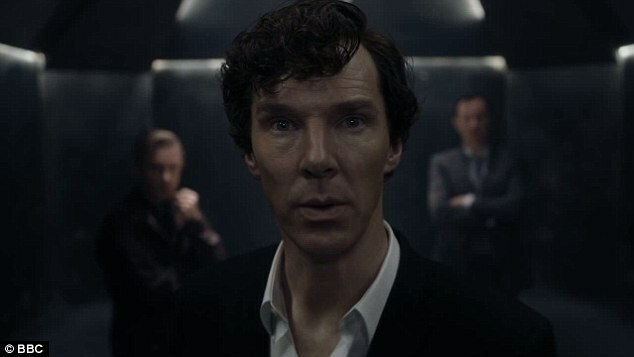 The first episode of Sherlock series four will air on BBC 1 on January 1, 2017. The plot will unfold around the vandalism of six artworks depicting a former prime minister, Margaret Thatcher. The story is based on Conan Doyle's The Adventure of the Six Napoleons, in which busts of the French leader were mysteriously being smashed.